A community garden is a piece of land gardened collectively by a group of people. They serve as a way to build a sense of local community, a connection to the environment and to provide fresh produce and plants. They range from small plots of vegetables, to large ‘greening’ projects to preserve natural areas. And not all of them have an open gate policy. Some grow only ornamental plants, others function as market gardens. 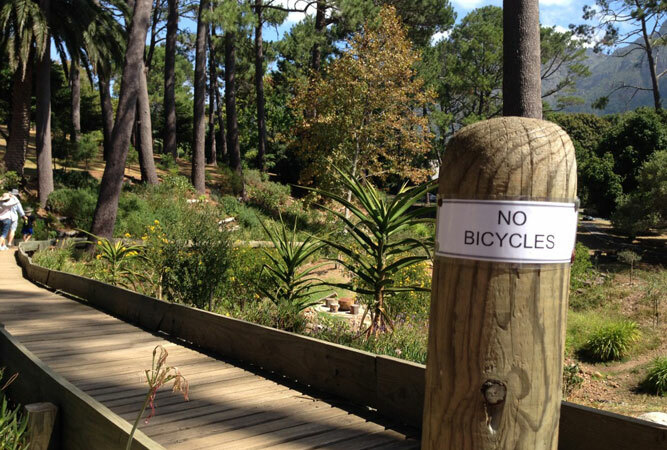 In Cape Town Community gardens have been a rising trend for a while now. Whether they’re tiny backyard plots, a portion of a city park, rooftop gardens, vertical gardens or ornamental gardening along a river bank, urban community gardening is on the rise. Minister Alan Storey, who lives around the corner from his church in Cape Town, has started a community food garden along the perimeter of the church building, and a coffee shop for all, called Heaven. The garden, which has teamed up with Touching the Earth Lightly to make community gardens more commonplace in Cape Town, has a sign that says ‘Free Food, please take only what you need’. The venture explores the idea of developing ‘in-between spaces’ by growing vegetables in between the Church’s walls and its fence line. The charity co-op known as Masikhanye Food Garden, a 1.2 hectare garden run by 20 women on the edge of Siyazama Community Allotment Garden Association (the association’s gardens cover about 3.5 hectares in all) in Khayelitsha began growing food in 2000. Abalimi Bezekhaya helped them to establish gardens and also provides them with a market – Harvest of Hope, which sells their produce to Capetonians via a school delivery system. The co-op also feeds the women who work on the gardens, with food parcels twice a week. Their aim to become totally sustainable includes joining forces with other local farmers so that they can get more land and access to other markets. To visit, contact Abalimi Bezekhaya. Moya we Khaya Peace Gardens is a 10 000 m² food garden project in Khayelitsha. Meaning ‘spirit of home’ the garden is a joint Rotary and Abalimi project and was a 2014 World Design Capital project. They grow vegetables that they sell. It is headed by Christina Kaba, who has trained local women from both Gugulethu and Khayelitsha how to grow vegetables to address food security. “If you have food on the table, then you have all you need” says Mama Kaba. She is also a co-director of Abalimi Bezekhaya. To visit contact Constantia Rotary or Abalimi. OZCF is a neighbourhood non-profit farm project in Cape Town’s city bowl. Adjacent to Homestead Park next to the corner of Sidmouth Avenue and Upper Orange Street, the land was once a farm called Oranje Zigt, one of the largest farms of the Cape during the 19th century. Today the farm re-connects the neighbourhood through design, food gardening and outreach. It runs a weekly food market, events, and encourages visitors (open every day, except Sunday, between 8am and 4pm). Volunteers provide guided tours. You can download the Food Dialogues Report from their website. Just before Peddlers on the Bend on Spaanschemat Road (off Brounger Road) is a little sign that unless you’re looking out for it you may not see. Soil for Life is a non-profit organisation that teaches people how to build soil to grow healthy organic food. They run hands-on practical training courses in impoverished communities. 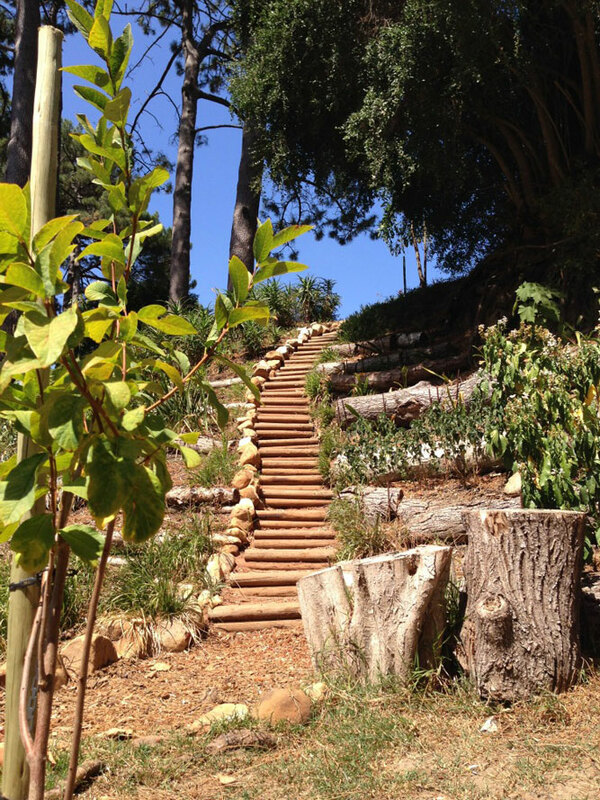 Their garden, alongside the Constantia Waldorf School, sells vegetables, seedlings, potted herbs, compost, mulch, planter boxes, vertical planters, bug houses, worm farms, and their hands-on gardeners are there with advice and natural fertilisers. Any funds you spend in their shop, which also sells gifts, chutneys, jams and food supplements, go back into their work. 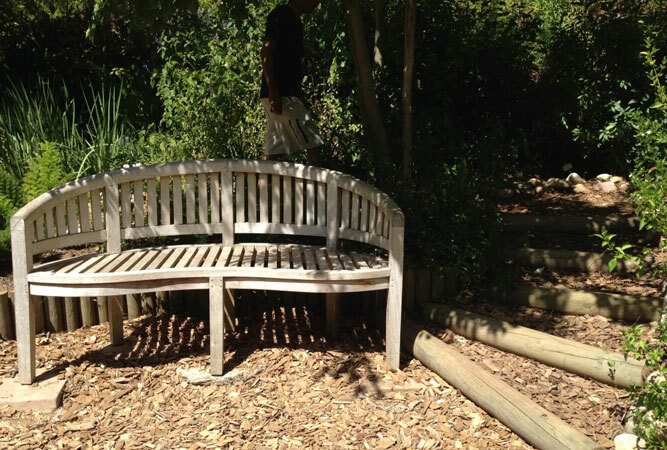 The garden in Constantia also runs training courses. Visit them, or go on a tour of their community food gardens. This beautiful and calm garden lies alongside the Liesbeek River in the village of Bishopscourt, alongside the M3, almost diagonally across from the intersection at Paradise Road. An area that functioned as a local dumping ground more than a garden, it used to be completely overgrown with alien vegetation. 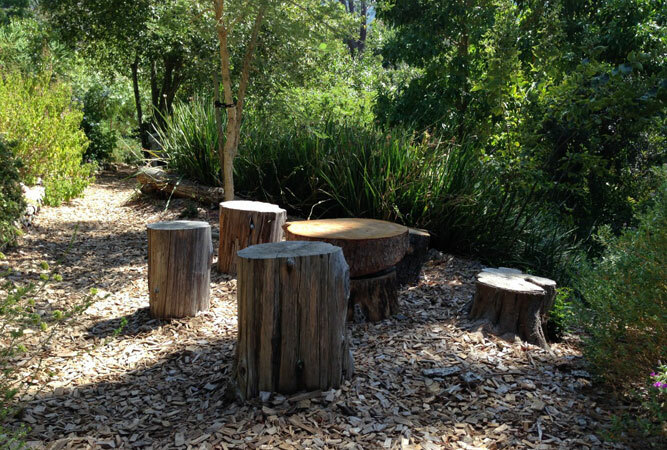 Now local residents have reclaimed the land and made it beautiful. Restoration includes: a boardwalk suitable for wheelchairs and mothers with children in prams, wooden benches, new paths and fences, and the planting and propagation of indigenous plants and trees (there is a little nursery fenced off at the end of the garden). A beautiful space. The Woodstock Peace Garden is on the corner of Palmerstone and Mountain Roads, co-ordinated by Bruce Beyer who runs a landscaping business, and the Alpha School for Autism. The project aims to make land accessible to all who care, and to create awareness for autism. Visit to explore worm farms, bokashi bins, aquaponics, composting, recycling, food plants, urban agriculture, art, water, and insect life. The garden is open early in the morning and again late afternoon; a space where the Woodstock community can grow food and interact together (members have their own key and use it for their children, and to walk their dogs). Contact Bruce for a visit. Barney Barnard gives tours on Saturdays.